One of the best parts of the holidays, in my opinion, is getting to spend more time with family and friends AND making goodies for them. 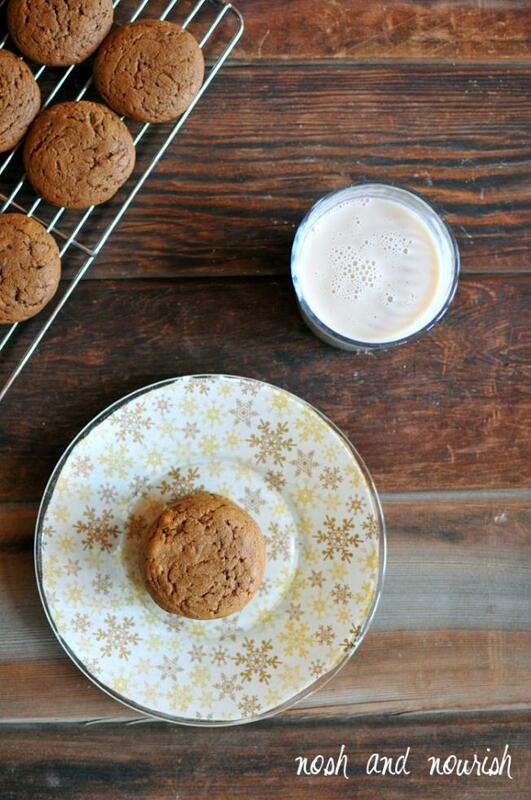 I love a good excuse for people to eat my food :) Whether it's for a cookie swap or a holiday party or just tidings of good cheer in the form of a plate of cookies, these Superfood Gingerbread Cookies will be your new holiday favorite. And the fact that Babycakes helped with the entire process is like icing on the cake, or frosting on the gingerbread in this case! 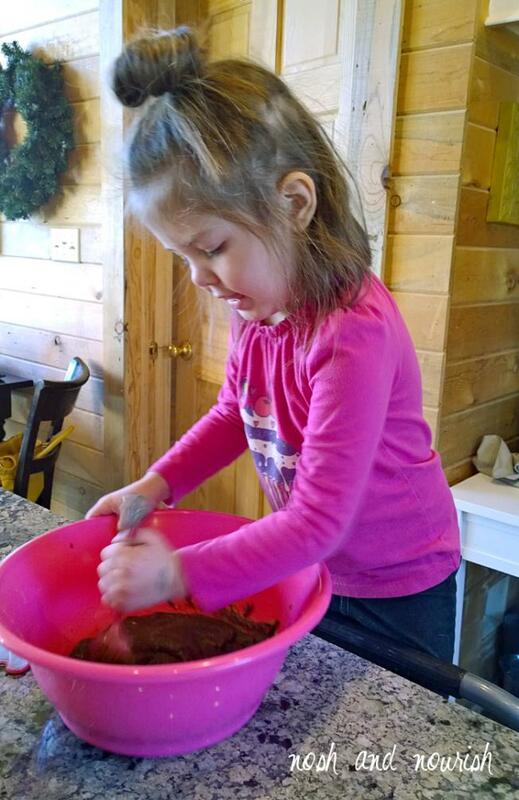 Measuring, stirring, forming little dough balls, and adding frosting are just a few of the ways kids can help with these cookies in the kitchen. 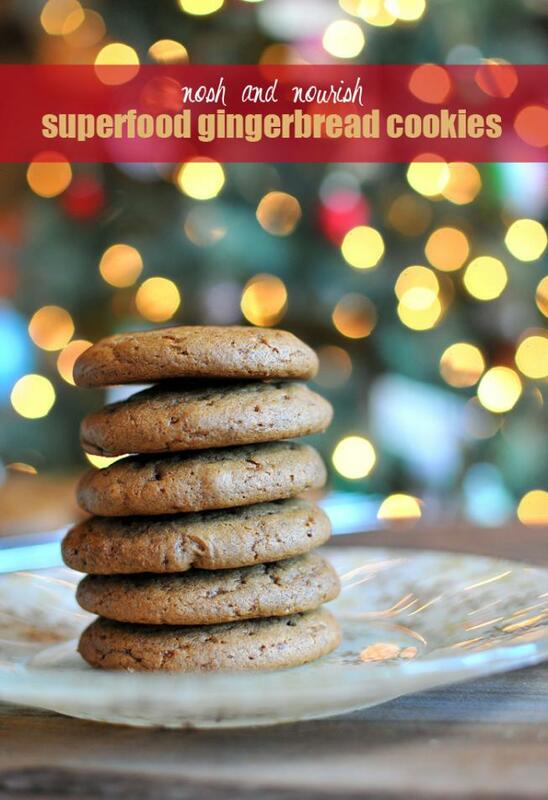 You might be shaking your head wondering how "superfood" and "cookies" can be in the same sentence, but I assure you it's possible! They have Greek yogurt, eggs, and walnuts to name a few --- three of the ten everyday superfoods in my upcoming cookbook: "Superfoods At Every Meal" due out on shelves January 15th!! 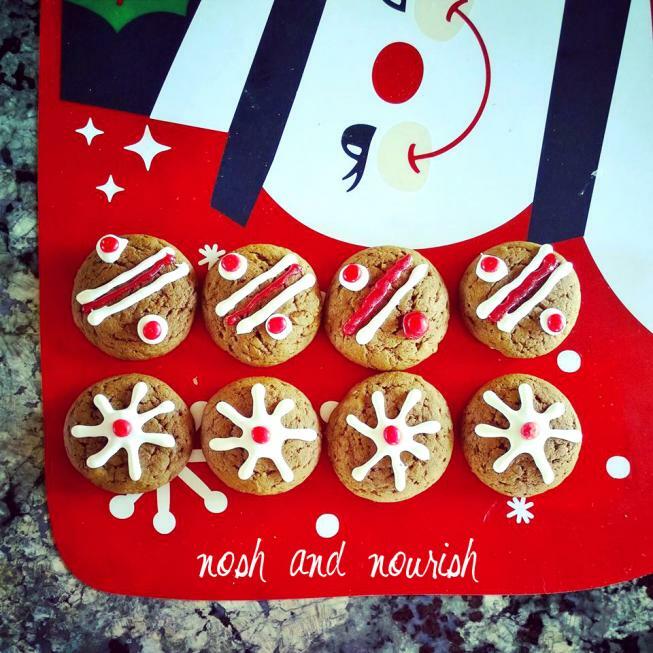 Now they're still cookies and you don't want to devour 12 in a sitting, but they are packed with protein and healthier than your average holiday cookie. The texture is divine: the perfect balance between soft and crispy. They have Silk vanilla almondmilk inside, but they're also perfect to dip in a big glass of it too! They are great on their own, but if you want to make them a little fancier / more holiday-esque, add frosting and redhots for decoration! Babycakes meticulously decorated quite a few and thoroughly enjoyed the process. I made the snowflake ones and am kindof partial to those! So cute. Perfect to swap, gift, or devour!!! 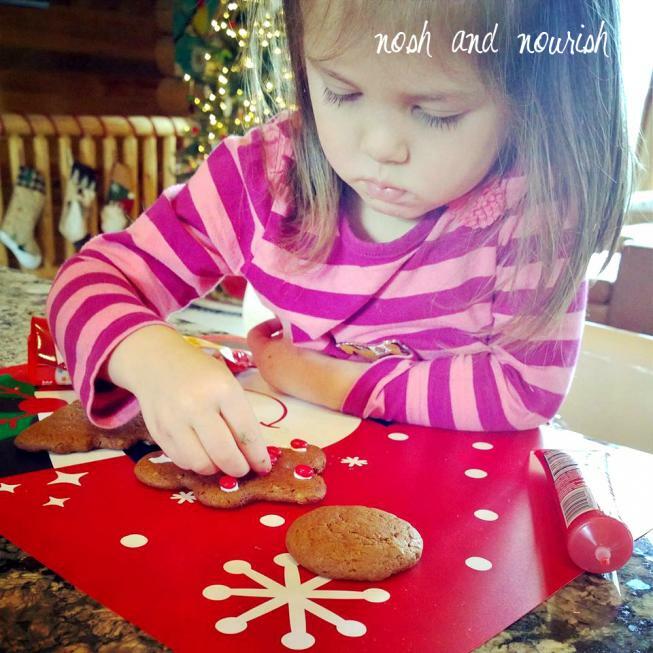 Question: Do you bake/give cookies as gifts during the holidays? In a large mixing bowl, combine all ingredients except for flour and baking soda. 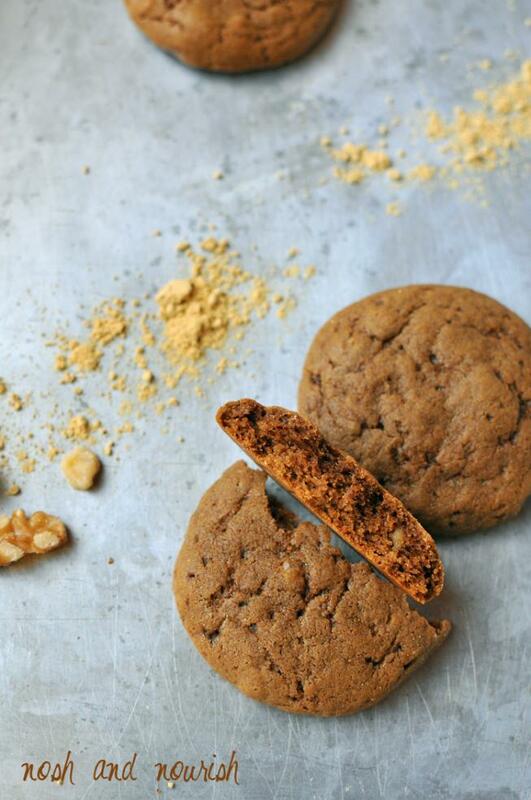 (coconut sugar through walnuts). Stir until thoroughly mixed. Slowly stir in flour and baking soda. Put the dough in the fridge for 30 minutes. Roll small 1.5 in balls of dough, and then press them slightly flat onto a greased baking sheet. Bake for 12 minutes, or until cooked through. Let cool on a wire rack completely before decorating with frosting.